We had an excellent experience working with Sharon Steele. 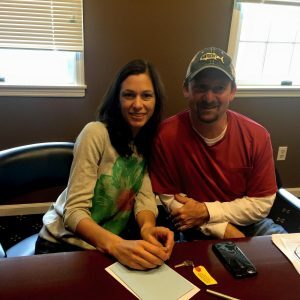 We listed our home and purchased a new one with Sharon as our agent. We looked for a new house for many years. Sharon was patient and continued to have her eyes out for us over the long period of time that we looked. When we finally did find the right house, Sharon helped to make the process of buying and selling go smoothly. We always felt that she made herself available at all times for questions and advise. She has a wealth of knowledge in all aspects of real estate. She priced our home perfectly, and in the end we were able to sell it in less than a week. I highly recommend Sharon Steele! We had an excellent experience working with Sharon Steele. We listed our home and purchased a new one with Sharon as our agent. We looked for a new house for many years. Sharon was patient and continued to have her eyes out for us over the long period of time that we looked. Submit this secure form to request a showing. If you'd like a showing within the next 36 hours, it's best to call us at 908.447.3579. If you've got a property you'd like to rent, Sharon Steele Real Estate can help. Call us at 908.447.3579 or fill out this secure form and we'll call you whenever you like.